We rely every day on our best partners! our business grows and grows in the right direction every year! IFFCO is an innovative group founded in 1865 in India, having its headquarters in the United Arab Emirates since 1975. Currently, the Iffco Group operates in 26 operational sectors in 57 countries with a production of 6 million metric tons of food and over 12.000 employees. IFFCO took over in 2017 the Italian production units of CODAP, a company that owns Hulala and Gran Cucina. CODAP is the company that invented spray whipped cream in the 60s in Southern Italy in Naples. 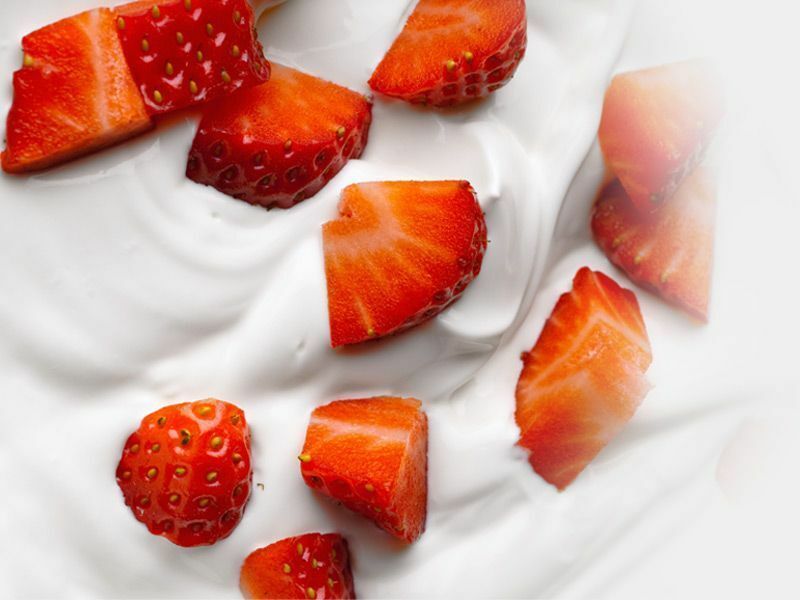 By constantly investing in research and development, in 1980, the CODAP Group began to export whipped cream all across Europe and then to America, Asia, Africa and the Middle East. The continued desire for development and innovative spirit led to the expansion of the portfolio by creating recipes of vegetable cream and vegetable cooking cream under the brands Hulala and Gran Cucina. Gran Cucina is the ideal sauce to make any fantasy in the kitchen. It is a vegetable cream for cooking with a light and creamy texture, thanks to its vegetable fat composition is easier to digest and provides excellent performances even under the most difficult conditions (high temperature, combination with acidic ingredients etc.). The Gran Cucina recipe is tested and approved by Chefi ai Museo del Gusto IFSE ( Italian Food Style Education Culinary Institute). At the beginning of the 90s, Nordic was the first company in Romania who brought the liquid vegetable cream to the market by launching the Hulala brand. Hulala conquered the Romanian market by offering a ready-made whipped cream in just a few minutes, with guaranteed results every time. In over 20 years of being the market leader in Romania, the Hulala brand has become the reference point for the whole category, and a market leader for consumers and buyers. Delicious products for all consumers. Costa d'Oro means "Golden Hill" in Umbria dialect. Here, the local specialty is oil. The Costa d'Oro story began in 1968 in Spoleto and has its origin in a small two-family business, Sabatini and Santarosi. The main values of the company remained quality, innovation and health. 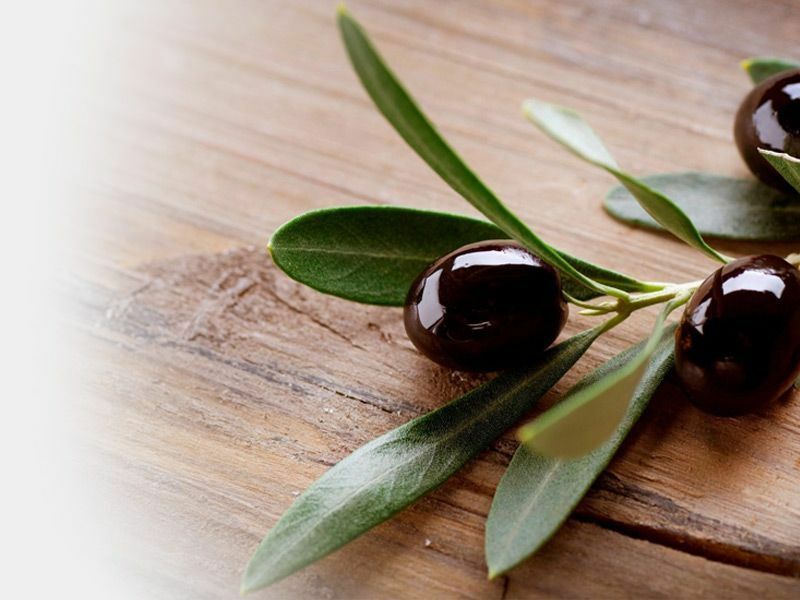 They have successfully combined their passion with expertise and decided to make their knowledge available to consumers by producing high-quality olive oil. In the 1990s, Costa d'Oro became a public company and, over the years, the Costa d'Oro international spirit became so important that today Costa d'Oro oils are distributed in over 100 countries across the globe. Heinz company was founded in 1869 in Sharpsburg (Pittsburgh), Pennsylvania, by Henry John Heinz. In March 2015 it merged with KRAFT, becoming KRAFT HEINZ and at the same time no. 5 worldwide on the Food & Beverage market. The Kraft Heinz products are sold in over 200 countries around the world, bringing together more than 25 brands. In Romania are marketed 3 of the most iconic brands of the company: Heinz, Kraft and Planters. Today around the world, the words "Ketchup" and "Heinz" are almost synonymous. In the United States, Heinz Ketchup is found in 97% of households and 4 out of 5 restaurants. To obtain 100g of Heinz ketchup, are needed 148g of the best quality tomatoes, from natural seeds - Heinz Seeds, without genetic modification. Heinz ketchup does not use artificial flavors, thickening agents or preservatives. 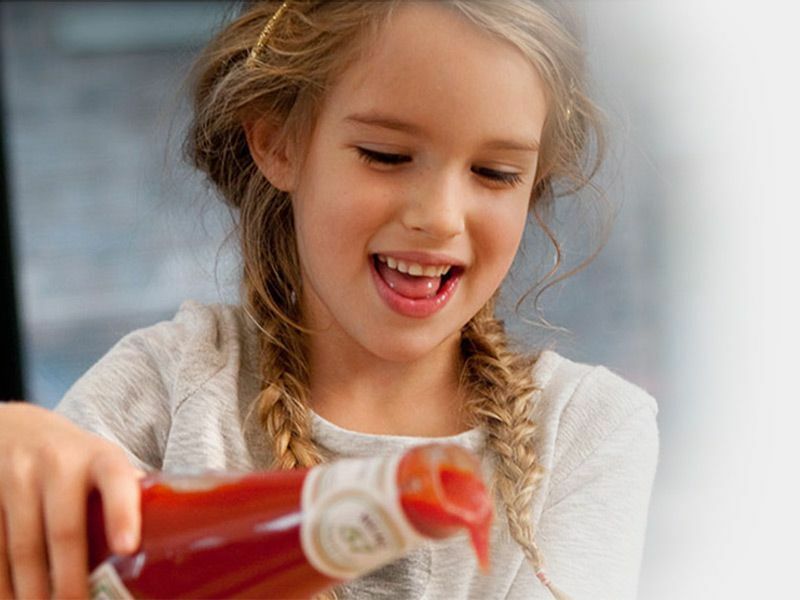 In Romania, Heinz is present with a wide assortment, offering to Romanian consumers, besides the well-known ketchup, other sauces such as mustard, mayonnaise, barbeque sauces, pasta sauces, but also canned vegetables (corn, peas and beans) and canned tomatoes. It is the no. 1 brand in the "Nuts, Hazelnuts and Seeds" category in US. The brand was created in 1896 by Ameda Obici, when he bought a roasting oven for just $ 4,5. In Romania, the launch for Planters took place in autumn 2016, at the same time with the official launch in many countries from Europe. The range of products is varied, corresponding with the different needs of consumers. Conserve Italia is a cooperative that brings together over 15.000 farmers from Italy, which makes it the most important European company in the preserved fruits and vegetables category. It has 12 production units, processing more than 650,000 tons of fruit, vegetables and tomatoes annually. Conserve Italia promotes the development of its own brands: Cirio, Yoga and Jolly Colombani. Customers know and appreciate these brands, guaranteeing significant market shares in sales channels, both in retail and HORECA. Cirio offers the true Italian taste, indispensable from Italy’s households, since 1856. Today it is present in over 60 countries. In 2013, Cirio received the recognition of the Italian Chefs Federation as a "high quality brand". It produces pasta and pizza sauces, alongside a rich variety of vegetables such as white or red borlotti beans, peas, lentil and sweet corn. 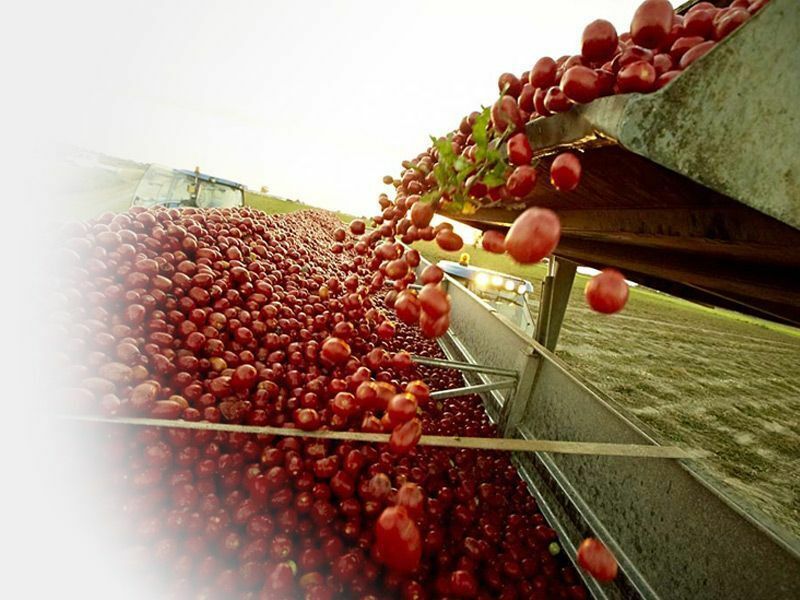 The excellence of Cirio products comes from the remarkable quality of raw materials, 100% Italian, and from the care given to the cultivation, harvesting and processing of tomatoes, from "seeds to fork" through a vigorous quality assurance system, in order to rise to the highest standards for the finished products. Yoga is a brand with over 70 years of tradition, experience and quality. Over time, it has occupied a central position in consumers’ minds, the products being recognized and directly associated with "fruit juices". Yoga offers a full range of natural juices, nectars and soft drinks based on fruits, suitable for consumers of all ages. Jolly Colombani is a brand with a long tradition, over 50 years, with a wide range of canned fruits, tomatoes and vegetables. Jolly Colombani means "quality", both in retail, for merchants looking for a good price/quality ratio, and also for food service operators, which especially appreciate the reliability and variety of the products. AIA’s (Agricola Italiana Alimentare) adventure, began in the late 60s, becoming one of Italy's most recognized brands for poultry products. Thanks to high-quality products combined with a futuristic vision, AIA has become the first Italian food producer in Europe in terms of innovation. AIA creates, provokes and changes the rules of the game; Invents and reinvents the classic recipes. Over the past 30 years, AIA has surprised customers with innovations, whose taste and flavor has always been appreciated by consumers. From Wudy (1985) to Dakota (2013), the new names have become internationally recognized and part of daily food habits, thanks to AIA's DNA - specific innovation desire. 1985 was the year the AIA WUDY brand was launched, the first chicken frankfurter with a light and delicious taste. Today it is a market leader. Nordic launched AIA and the Wudy brand in Romania in 2010. At that time, Wudy was the chicken and turkey frankfurter with the highest meat content on the Romanian market (over 88%). The Wudy recipe has been constantly improved, tailored to the needs of the consumers. Available in a wide range of sizes and specialties for every taste: classic with chicken and turkey meat or filled with cheese, Wudy is the right choice at any time of the day due to the quick preparation time. Dakota is the new AIA sausage brand, based on a unique and surprisingly turkey recipe. 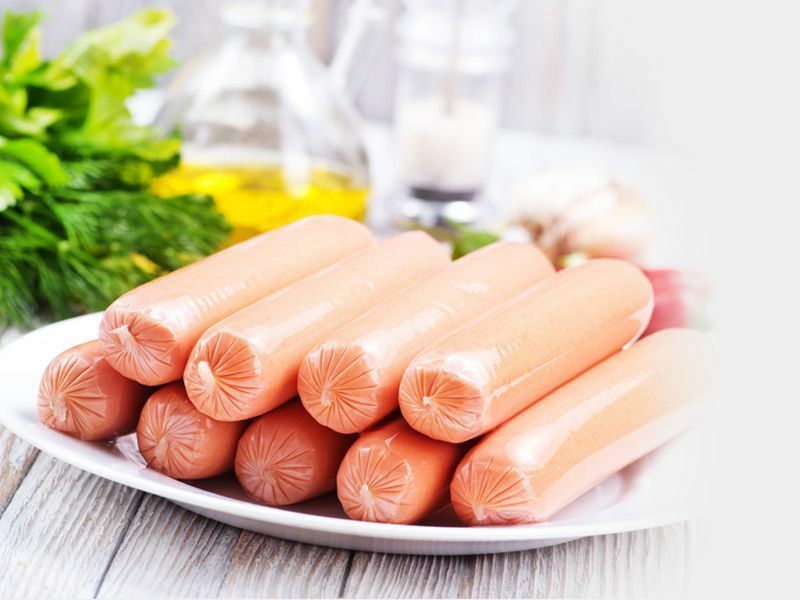 Dakota sausages are distinguished by the fact that they are gluten-free and free of coloring agents and flavor enhancers. Since 1946, ICAM has been the voice of excellence in chocolate art, appreciated in the Agostoni family for over 70 years. World recognition has come with the passion for chocolate, the continuous evolution, the latest technology and the control of the whole production chain, starting with the selection of the cocoa plantations to the finished product. 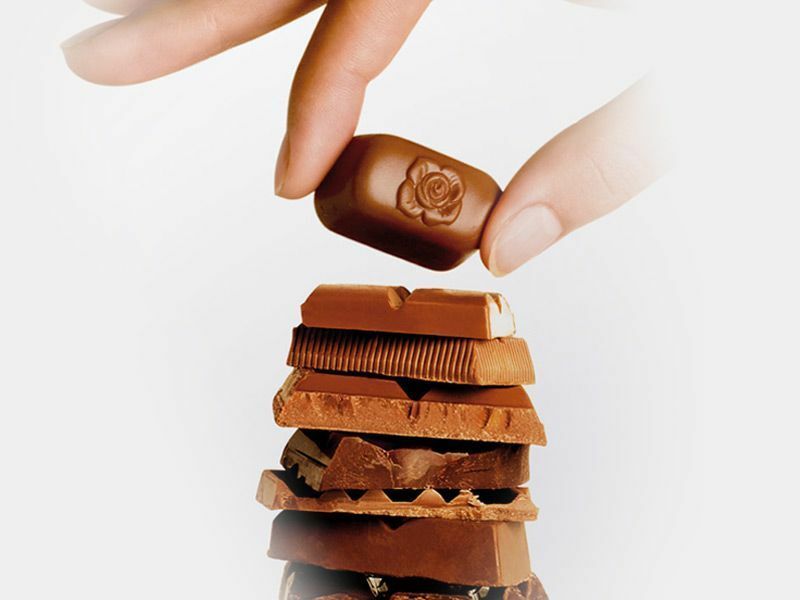 It has a wide range of products: from cocoa paste, butter and powder, to liquid, tablet or chip chocolate. It is also known for the less conventional chocolate: organic, sugar-free and gluten-free. Nordic has recognized and appreciated the company's expertise, but also the superior quality of its products, so in 2010 established a partnership that in time proved to be of great success. Caffe Diemme is one of Italy's most famous coffee brands, it was founded in 1927 by the Dubbini family. The brand combines tradition with modern technologies, starting from the traditional way that coffee is purchased directly from coffee plantations to modern roasting and packaging technologies, without compromising quality in the process. Caffe Diemme has expanded its field of activity with an international chain of cafes with locations in Italy, Dubai and Hong Kong. 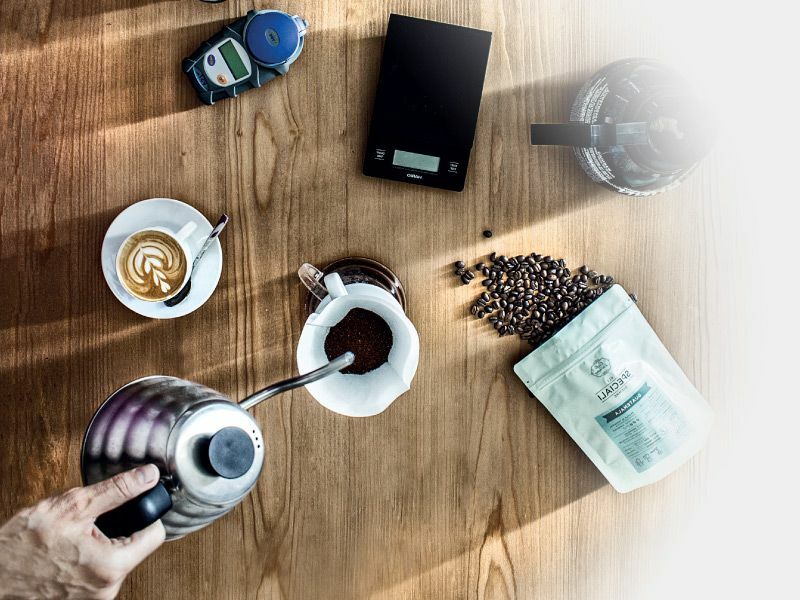 Their expertise both in the development of the coffee brand and in the management of such a extended chain of cafes, recommends it as the ideal partner for Nordic, which can provide a complete coffee serving and preparation solution for HORECA locations in Romania. Caffe Diemme proposes a combination of modern and traditional, starting from the way coffee is purchased directly from coffee plantations to roasting and packaging technologies, without compromising quality throughout the process. Green coffee is stored in silos with a capacity of approximately 2000 quintals and quality is ensured by a triple coffee quality control technology. This guarantees maximum purity and selection of the best coffee beans. The induction roasting method gets a uniform quality of the finished product and the production capacity of the company amounts to 3 million kilograms per year. Green coffee is matured and kept for 8 months in special silos. The packing method guarantees total protection, keeping the freshness of roasted coffee until it is used to get a perfect espresso. Labeyrie Fine Foods is a European leader in the agri-food sector. For 70 years, they have created a wide range of special products to offer culinary delights to everyone. 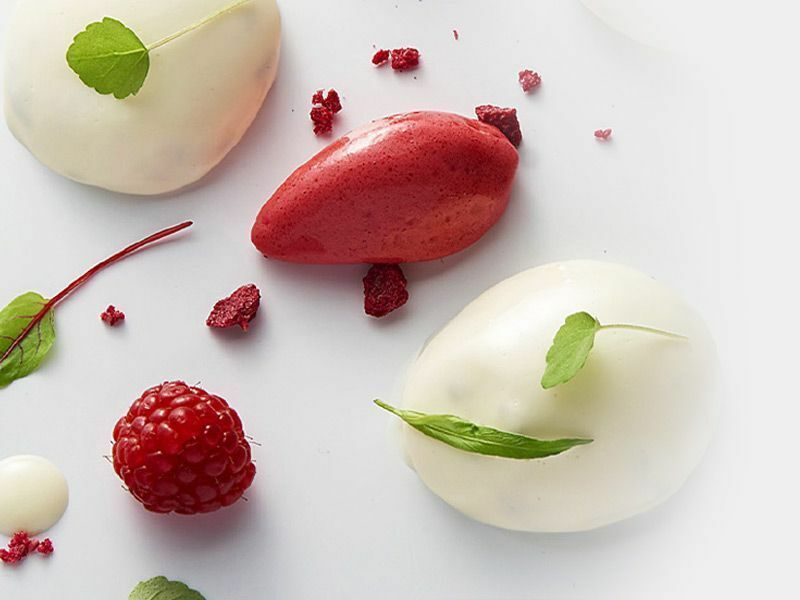 As a European group and market leader in its segment, Labeyrie sells every kind of delight without departing from the mission of creating new taste experiences. Under the motto "pleasure knows no limits", Labeyrie offers a wide variety of products for any time of the day (appetizer, main course, dessert, after dinner and more), every wish (sweet and salty), every occasion, every taste (local products and seafood). The Labeyrie - Nordic partnership started in 2010 with the launch of a range of fine delicacies in the following categories: salmon, foie gras, caviar. 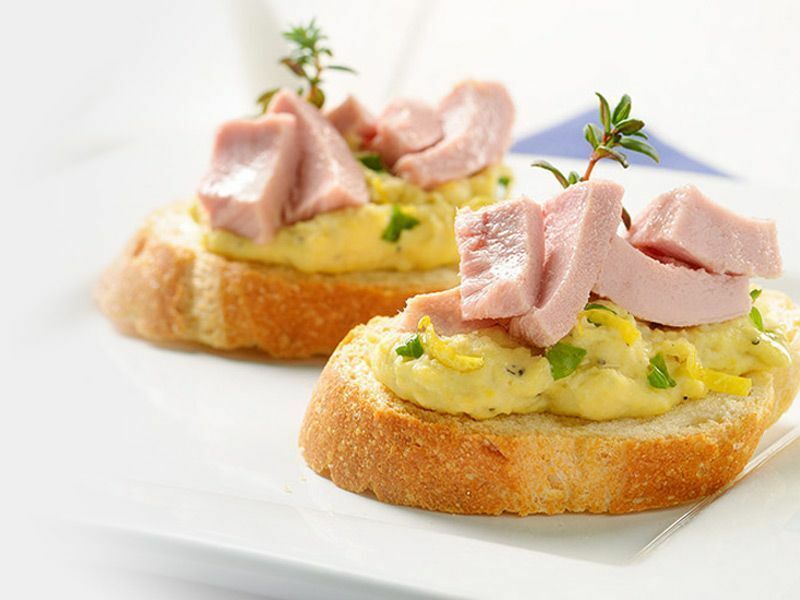 With a number of distinguished brands on the market, Labeyrie Fine Foods prides itself with a "Spirit Catering", that makes cooking a tasteful, refined, varied and creative experience. Delicious specialties ranging from classic foods to new gourmet experiences inspired by the many cultures of the world. The range of products can be divided into four areas of expertise: seafood products, regional and gourmet products, fish products and modern products. 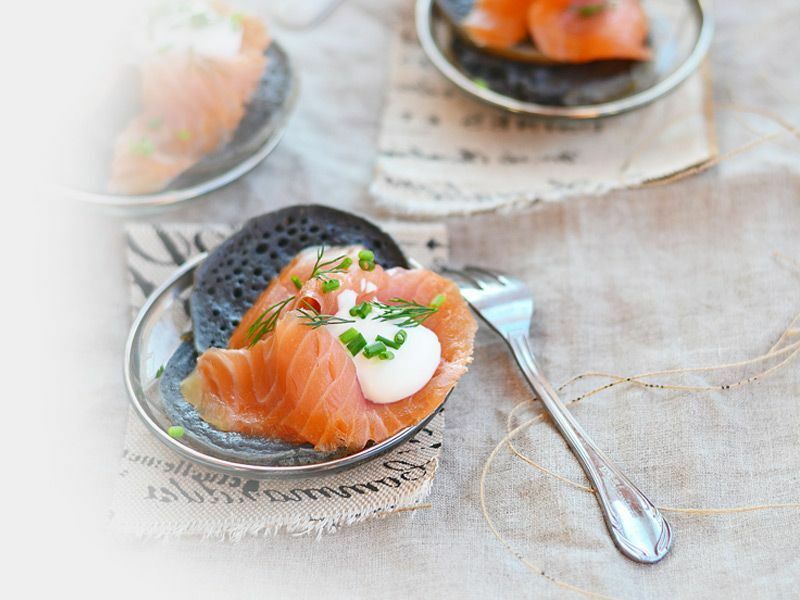 Through its flagship brands, Blini and Labeyrie, Labeyrie Fine Foods is the leader in its markets. At the same time, by providing private labels for the most important supermarkets, the group stands out as a trusted partner for the retail sector. Elle & Vire is a story that began in 1945 in Normandy (France), an internationally renowned area for milk quality. 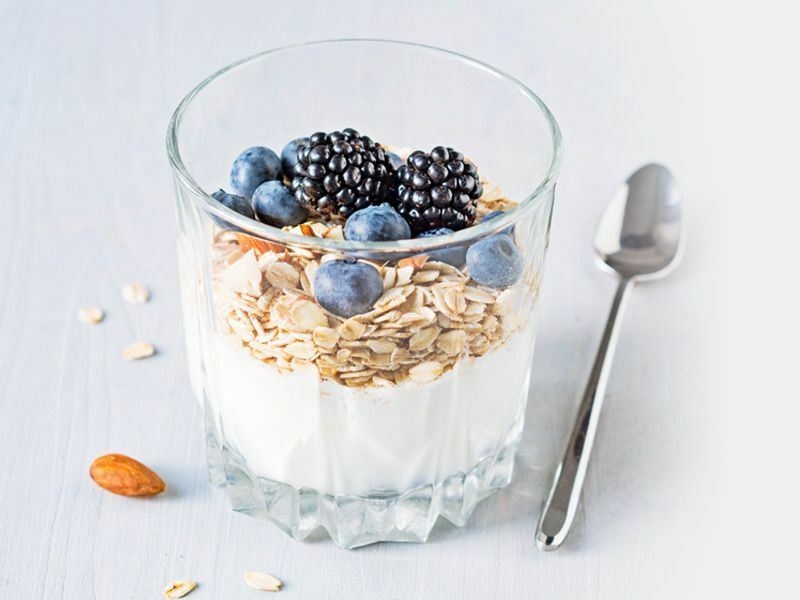 Elle & Vire has since become one of the world's best-known dairy brand, with a premium quality product range, a highly-performing distributor network and dedicated culinary counselors who share their expertise and passion all over the world. Today, the company is present on all five continents in over 120 countries with a rich assortment capable of meeting the most demanding chefs’ requirements. The partnership between Elle & Vire and Nordic began in 2006, increasing progressively over the years, so in 2016 Nordic was awarded at SIAL as one of the world's leading Elle & Vire partners. Valsoia is 100% an Italian brand, with products made from non-GM ingredients. The history of Valsoia began with Lorenzo Sassoli de Bianchi in 1990 in Bologna, Italy. Doctor at his origins, he studied and worked in the United States, where he gained information about the benefits of soybeans, well-known at the time in the United States. Back in Italy, he decided to found Valsoia and set up a business with 100% vegetable products made from quality ingredients to encourage healthy eating among the Italian population. Soy beverages and soy-based desserts were the first products launched in Italy. In 1994, Valsoia launched soybean ice-cream, an innovation that brought the Valsoia brand notoriety. All products are nutritionally balanced and contain high quality ingredients. They are ideal for the whole family and cover every moment of the day whether it's breakfast, dinner or a healthy snack. John West is a British fish and seafood company based in Great Britain, established in 1857 and currently owned by the Tai Union Group from Thailand. John West is known to be a producer of salmon and canned tuna, which also offer mackerel, sardines, herring, and seafood. The history of John West begins with the vision of one man, whose pioneering innovations and passion for fish set the foundations for what they believe and do today. At John West, they aim to keep true to that pioneering spirit. From creating new ways to keep fish tasting its best to improving the way they source their fish, John West is dedicated to bringing you uncompromised quality. John West, like Thai Union, has made a special commitment to the environment and sustainable fishing. John West's products are Safe Dolphin and with a partnership with WWF, improves the sustainability of seafood supply chains.